Sensational views all day every day. A little piece of Paradise. So private, so special. Loved every minute of our stay. Views from every room in the house from huge picture windows. So many thoughtful touches to make you feel right at home. We didn't want to leave. You're welcome Jill. Thanks very much for your words. I hope we see you back sometime! 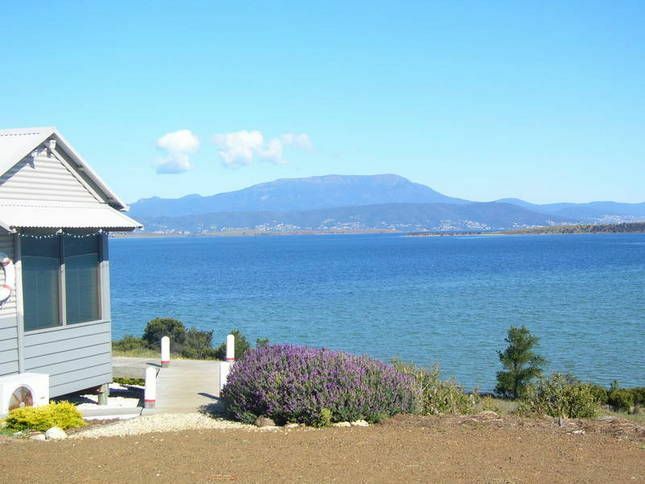 Everything you need in a beautiful location just 30 minutes from central Hobart. The cottage is delightful and despite the compact size, very well equipped. Access to wonderful walking/cycling trails, beaches and good coffee. A wonderful retreat. Thanks Chris - a lovely response! Hope you caught up with the family. Our stay couldn't have been any better. Everything described about the Boat Shed on Stayz was exactly right. The added extras from Judy were amazing, the breakfast provisions were most welcome and the Boat Shed so well equipped. The view across Ralph's Bay is both unbelievable and overwhelming. If you haven't already visited, you must put it on your bucket list! Thank you Kate and Ted! As you said - there is no better place to unwind for the Xmas break and get away from it all. Your recommendation is appreciated! A great place to unwind and relax. Private and peaceful and everything you need in a stylish package. Views from the deck are wonderful. Our hosts left is a starter pack of essentials for breakfast, a nice touch. Close enough to Hobart to sight see and far enough away to be peaceful. Highly recommended.